Tulsa, Okla. – GoFree – the provider of digital content and services and part of the Navico family of marine electronics brands including Lowrance, Simrad and B&G – announced today the release of a compact vessel monitoring system – including two GoFree Track modules and the GoFree Vessel web interface. 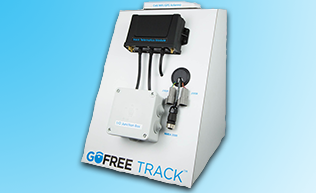 GoFree Track is an affordable hardware system designed to deliver connected vessel solutions that provide boat owners, fleet operators and service technicians with a wealth of onboard information. 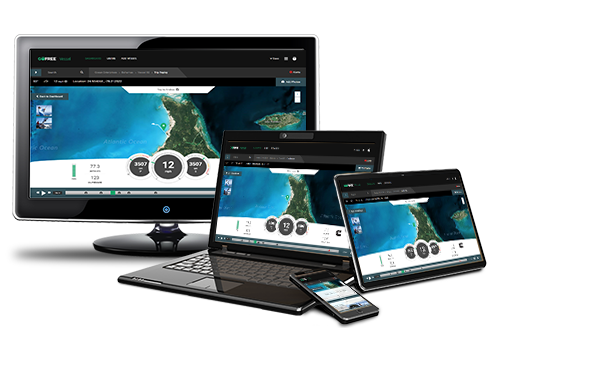 GoFree Vessel – the web and mobile interface for the connected vessel – adds to the service, security and social fun for the boating experience. As a powerful vessel management tool, GoFree Track modules will monitor, log, transmit and report important vessel metrics like NMEA 2000® and J1939 diesel engine data including RPM, engine hours, battery state, oil pressure/temperature, coolant temp, fuel consumption; engine alarm information; and NMEA 2000 network data such as depth, boat speed, heading, wind speed and direction, and fuel level to the GoFree Vessel web interface. GoFree Track modules also monitor security information from multiple sensors such as high bilge water, excessive bilge pump activity, high or low onboard temperatures, battery voltage and shore power connections, and will also alert owners if access doors have been opened. Alerts are instantly transmitted via email or SMS messages to any registered individuals. All data received from a vessel’s system is recorded and available online via GoFree Vessel for immediate viewing. As an enhancement to any boater’s trip on the water, the GoFree Vessel web interface allows users to review and share comprehensive trip recordings, including boat trails and location, engine performance, navigational data and even pictures taken by any smartphone along the voyage. Trips can be played back on the unique GoFree Vessel dashboard or shared with friends or service partners. In addition, fleet management companies will appreciate the commercial features on GoFree Vessel. The easy-to-use interface makes it simple to set up geo fences to establish safe boating zones, provide instant customer support, respond to vessels alerts and help prevent vessel theft. Track-WiFi: Allowing connection to wireless hotspots and smartphone tethers. Track-CellFi: Allowing both WiFi and Cellular connections. All CellFi devices come with a global SIM card pre-installed and users can connect to 2G or 3G cellular systems throughout the world. GoFree Track-CellFi is offered with a free cellular service plan that will cover both regular vessel location updates and 24/7 security alerts for one year. For more comprehensive data uploads, including HD (high density) log recordings, additional data plans are available. Built-in Bluetooth: Both Track-CellFi and Track-WiFi devices have built-in Bluetooth (BLE) communication capabilities. This enables them to connect locally with smartphones and tablets, as well as other supported devices. Satellite: The optional Track-Sat antenna provides true global connectivity through the Iridium satellite constellation, enabling devices located in areas not covered by either WiFi or Cellular service to continue to provide location and alert messages updates. Satellite service will be available during the third quarter of 2016. Before sending data, the GoFree Track module automatically selects the most cost-effective communication method available – whether wireless, cellular or satellite. In addition to engine and vessel sensor compatibility, GoFree Track modules are compatible with Simrad NSS/NSO evo2, Lowrance HDS Gen2 /Gen3 and B&G Zeus2 multifunction displays. GoFree Track hardware will begin shipping in November 2016 and is priced at $799. The GoFree Vessel interface will be released in coordination with the scheduled GoFree Track shipping date. Prices for HD cellular and Iridium satellite connectivity are not yet available. For more information on GoFree Track with GoFree Vessel services, please contact 800-324-1356 (toll-free) in the USA or 800-661-3983 (toll-free) in Canada or visit gofreemarine.com/vessel.